Never before has the need been greater for quality home water filtration. Whether your home uses municipal tap water or private well water, there are contaminants present in the water you use for drinking, cooking and showering. 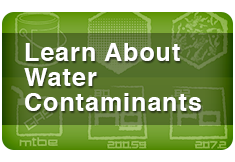 The level of contamination and the specific contaminants present in your water are largely a factor of your geographic location and water source. The intention of this site is to promote the use of home water filtration, show what home filtration products are available and how to determine which ones are the best for your needs. The main sources of municipal tap water are surface water and ground water – water from lakes, streams, rivers and deep wells. Almost all municipal water sources undergo a disinfection process using chlorine or chloramine (chlorine & ammonia) to kill bacteria and parasites. Although the EPA regulates 91 water contaminants, there are many that still find their way into the tap water we use every day (click here for a list of contaminants). Other contaminants commonly found in tap water include lead, copper, sulfate, nitrates, pesticides, herbicides, arsenic, industrial solvents and trihalomethanes, a chemical known to cause colon and bladder cancer in large concentrations. Contrary to popular belief, municipal water treatment facilities were not designed to take out contaminants such as synthetic organic chemicals and toxic heavy metals like lead. Well water sources are typically not regulated at all, making it the responsibility of the well owner to test and evaluate the safeness of their well water. Well water sources are susceptible to contamination from septic tanks, farms, pesticides and herbicides used in the surrounding area and can also have high instances of iron, calcium and magnesium which cause hard water. Hard water and scaling can damage home appliances and plumbing, as well as leave stains and spots on clothing, dishes, and surfaces in your home. Understanding what is in your water and the importance of using healthy, chemical free water is the first step towards healthier living. 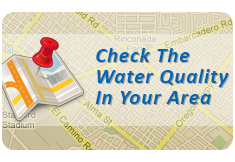 Finding the right water filtration products for you and your home is the next step. This site provides you with the information you need to compare water filter brands and products to aid you in the decision making process of purchasing a home water filtration system. 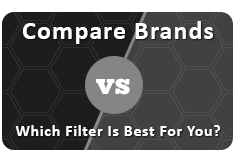 We’ve gathered data on what we feel are the most competitive water filter products in the drinking water, shower and whole house water filtration categories as well as water softeners so you can make an informed decision about what product is right for you. All data reported here is derived from available public information. Drinking Water Filters. Clean, filtered water is the foundation of health and wellness. This site provides information about pitcher, countertop/faucet, and under counter drinking water filter products. Product performance information provided here includes cost per gallon, contaminant removal capabilities and warranty policies. Shower Filters. Removing chlorine from your shower water can yield significant health and cosmetic benefits. 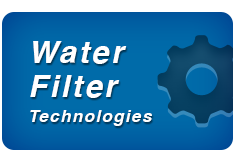 This site provides product performance information including effect on water flow, chlorine reduction abilities, and what’s included when you buy a filter. Whole House Filters. Get healthy water throughout your home for drinking, cooking, bathing and showering. This site provides information about carbon based filters, water softeners and reverse osmosis products. Product performance information provided here includes chlorine reduction abilities, the type of replacement filters you’ll need, water testing and customization services, and which products include a satisfaction guarantee. Water Softeners. Hard water is an additional concern when it comes to your home water source. The buildup of calcium and magnesium can damage plumbing, appliances, hot water heaters and make it virtually impossible to get good results from washing machines and dish washers. Product performance information provided here includes scale reduction capabilities, backwashing requirements, type of softening process used, maintenance and which products include a product warranty.